It was ...wow, like over 5 years ago that I remember the first Galaxy Note came out. I remember bringing my demo unit to some meetings and showing off to people and who were just amazed. Fast forward and we're now at the point where we have a Galaxy Note 8. Let's not discuss the 7 at all. There's some out there that say that there's a blurred line between the Note 8 and the S8 (thank God they finally synced up the numbering), so how do you decide which is for you. The Note is, and always will have the S-Pen as their main differentiator. Which is funny, because the number of folks I see who have the Note, but never use the pen at all. But they wanted it. With the ~$300 difference between the S8/S8+ to this, you have to really weigh out what you want to pay for that pen. I loved it, even though I didn't use it as much as I would have liked. I would still want it. Okay, so for the whopping $1350 price tag that the Note 8 is, what do you get (note that if you order early at Bell you'll get a free 128GB SD card and their charging stand). 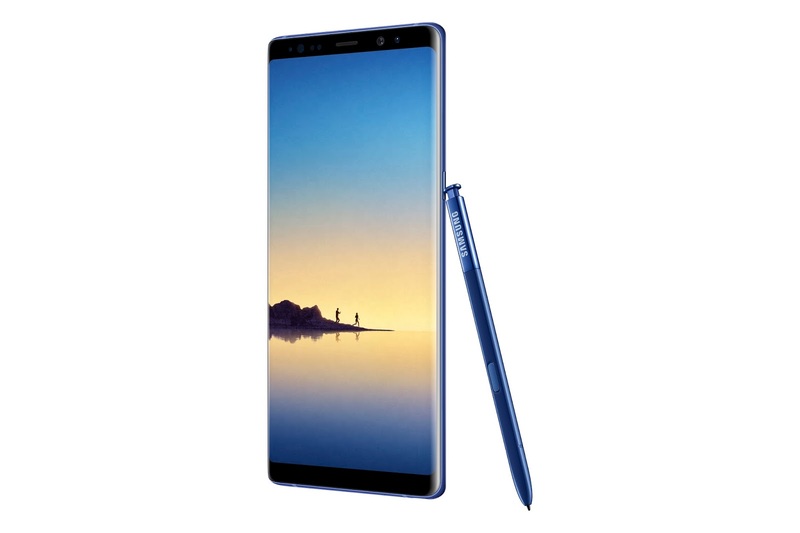 MISSISSAUGA, ON – Aug. 23, 2017 – Samsung Electronics Canada, Inc. introduces the Galaxy Note8, the next level Note for people who want to do bigger things. With the Galaxy Note8, consumers get a big Infinity Display1 that fits comfortably in one hand, the S Pen to allow them to communicate in more personal ways, and Samsung’s best-yet smartphone camera to capture stunning photos. The Galaxy Note8 is designed for the way consumers lead their lives and use technology today. joined together by their affinity for Note’s signature expansive screen and S Pen. According to Samsung market research, 85 percent of Note users say they’re proud to show off their Note and recommend it to friends, and 75 percent say it’s the best phone they’ve ever had2. The Galaxy Note8 has the biggest screen yet on a Note device, yet its narrow body makes it comfortable to hold in one hand. The 6.3-inch Quad HD+ Super AMOLED Infinity Display lets you see more and scroll less. The Galaxy Note8 gives you more room to watch, read, and draw—making it our best multitasking smartphone. Note users have long been able to work smart with Multi Window. With the Galaxy Note8, the new App Pair feature lets you create a custom button on the Edge panel that will simultaneously launch two apps in multi window mode. Watch a video while messaging your friends, or dial into a conference call with the number and agenda right in front of you. communicate with friends. It has a finer tip, improved pressure sensitivity3, and new features that let users express themselves in new and innovative ways. drawings across platforms that support animated GIFs. It’s a whole new way to communicate with the S Pen—adding lively and emotional connections that bring your messages to life. phone. With the Galaxy Note8 Screen-Off Memo you can pin notes to the Always-on Display, edit them and write up to 100 pages. Translate feature now lets you hover over text to quickly translate not only individual words, but entire sentences. The Galaxy Note8 translates more than 30 languages and instantly convert measurement units for user’s convenience. Stabilization (OIS) on both—one wide-angle lens, one telephoto lens. Whether you’re exploring a new city or running around your backyard, OIS lets you capture sharp and clear images. In Dual Capture mode, both rear cameras work together to take two shots—and save both images: one close-up shot from the telephoto lens and one wide-angle shot that shows the entire background. field by allowing you to adjust the bokeh effect in preview mode and even after you take the photo. The wide-angle lens has a Dual Pixel sensor with rapid auto-focus so you can capture sharp, clear shots, even in low-light environments. The Galaxy Note8 is also equipped with an 8MP Smart AutoFocus front- facing camera for the sharpest selfies and video chats. and dust resistance (IP684) the device and the S Pen. You can write even when the display is wet. can get a quick, convenient charge without having to mess around with ports or wires. software layers, with a secure folder to help safeguard your data. 256GB), you have the power you need to browse, stream, play games, and multi-task. your voice to do more. Off Memo or quickly annotate documents and photos. without having to swipe or scan a fingerprint. between field work and office work, or travel between offices. rigorous series of device and battery safety compatibility test protocols. We look forward to maintaining our strategic relationship with Samsung to help ensure device safety for all consumers,” said Sajed Jesudas, SVP and President, UL International. MTS, Rogers, Sasktel, Telus, Videotron. They will all carry the Galaxy Note8 in stores or available online beginning September 15, 2017, with pre-orders starting August 23, 2017. Canadian consumers who pre-order a Samsung Galaxy Note8 between August 23, 2017 and September 14, 2017 will get a bonus Samsung Wireless Charger Convertible plus Samsung 128GB MicroSD Card following purchase9. The Galaxy Note8 will also be compatible with the new Gear VR with Controller. The new Gear VR with Controller will be available starting on September 15 for $199.99 at Bell, Best Buy, London Drugs, Rogers, The Source, Tbooth, Telus, Videotron, Visions, Wirelesswave, Samsung Experience Stores and Samsung.com. interviews with smartphone owners ages 18 or older in the United States, United Kingdom, Singapore, South Korea and China. 4 Water resistant in up to 5 feet of water for up to 30 minutes; rinse residue/dry after wet. 5 Fast charging requires Adaptive Fast Charging (AFC) or Quick Charge 2.0-compatible charger to work. Testing under laboratory conditions. features selected, vibrate mode, backlight settings, browser use, frequency of calls and voice, data and other applications usage patterns. 6 A list of Samsung Knox certifications is available at https://www.samsungknox.com/en/knox-technology/security-certifications. 8 Color availability varies by region. requirements set out above. Visit www.samsung.com/promotion for further details and steps required to redeem your bonus. design, pricing, components, performance, availability, and capabilities of the product are subject to change without notice or obligation.